YMCA Digital is a community project designed to inspire, support and develop young people to fulfil their potential through creative arts and digital media. The programme boasts a fantastic scope of new media platforms and performing arts opportunities for young people aged 13-19 in Nottinghamshire. Delivered by experienced industry professionals and trained Nottinghamshire YMCA staff, the project engages aspiring artists to harness their creativity in workshops and open sessions. Young music media lovers can gain invaluable industry experience while enjoyingfirst-hand skills in a variety of mediums, ranging from radio broadcasting, film, animation, music, music tech and production, dance, acting and singing (vocals, writing and performance). YMCA Digital are currently running 10-week media and performing arts courses for young people aged 13-19 in Nottinghamshire. Our courses take place at our state-of-the-art studio in NGY MyPlace in Nottingham city centre, where we provide attendees with the latest equipment and technology in order to reach their goals. Whether digital, vocal or instrumental, we’ve got it all – there’s something for every genre and style! Check out our courses and book today by emailing studio@nottsymca.org. Learn key techniques to become a skilled singer, with vocal coaching, performance, and song-writing sessions. Become a pro radio host and learn the skills of presenting, show planning and jingle making. Master the essential skills of music technology, including recording, production and mixing techniques. Learn the tricks of MCing, including lyric writing, performance skills, and recording techniques. Develop a range of drumming techniques and performance skills in multi-genre styles. Master the essential skills of DJing, including mixing, beat juggling and scratching techniques. Become a valued and skilled band member, including performance expertise and improvisational techniques. Build your portfolio while working towards a nationally-recognised qualification as you learn skills in a range of artistic fields and gain confidence to follow your creative passions. 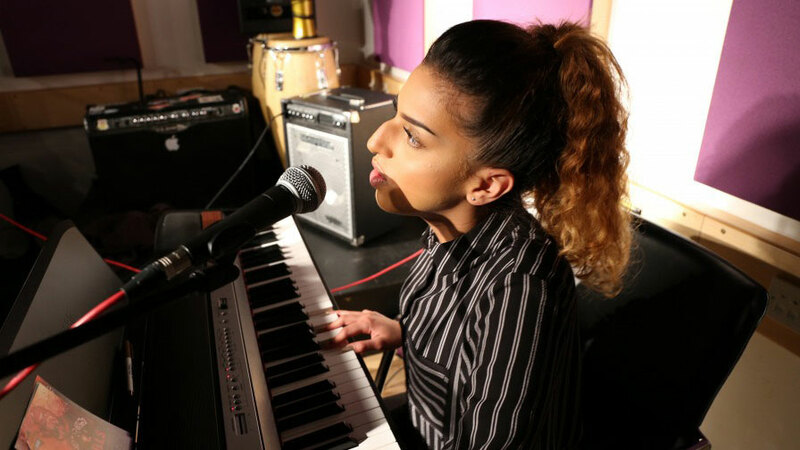 Courses take place at our state-of-the-art studio in NGY MyPlace in Nottingham city centre, where we provide participants with the latest equipment and technology in order to reach their creative goals. Whether digital, vocal or instrumental, we’ve got it all – there’s something for every genre and style. Formerly the home of Trent FM, the NGY MyPlace hub opened in April 2012 as a £5million youth centre following a complete transformation of the building on Castle Gate at the heart of the Nottingham city centre. Nottinghamshire YMCA is a founding partner in the development of the building, and the YMCA Digital team is responsible for the music and media floor which sports its own recording studio, performance space, radio studios and Apple Mac computer suite. YMCA has youth workers based permanently at the centre, which is home to the YMCA Digital radio station and many of our exciting charity youth projects. NGY also has a café, training room, computer room and outside courtyard as well as access to NHS and careers services.The interior of the building was designed by young people in Nottingham and the bright colours combined with state-of-the-art facilities give it a real ‘wow’ factor! Experienced industry professionals engage aspiring young artists in workshops and open sessions to equip them with life skills including communication, IT, media literacy, planning and team work. Almost all of our programmes offer young people an accreditation and our youth workers are all qualified to deliver AIM Awards, Arts Awards and AQAs which are all tailored to individuals’ interests, goals and abilities. Our projects aim to engage young people in learning while equipping them with the skills they need for life such as communication, IT and media literacy, planning and team work. To book, please contact studio@nottsymca.org. 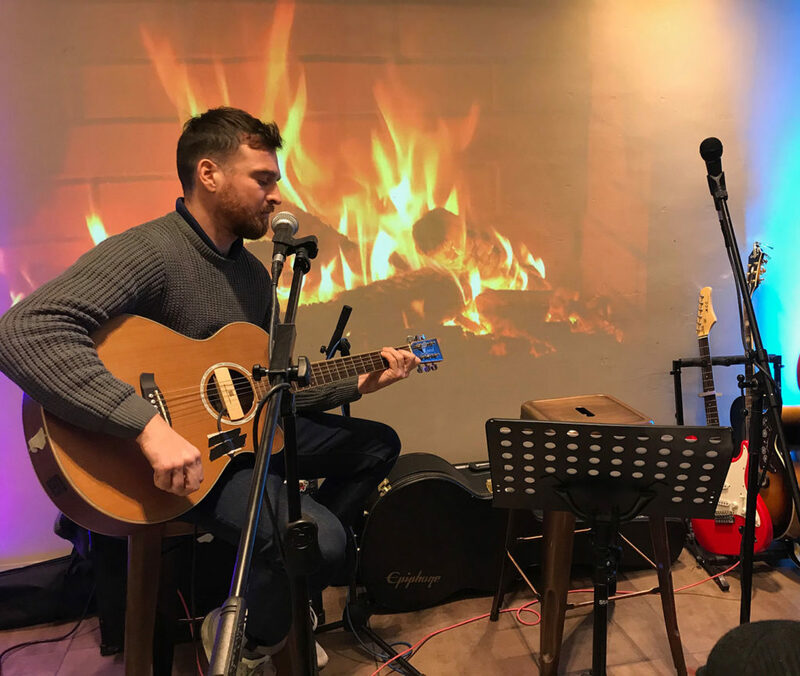 Volunteer EJ Scanlan shares why he first got involved with YMCA Digital’s city centre hub, and explains how the charity helps him and other young people to grow in their craft and confidence by ‘believing in their creative potential’. After struggling to cope with low confidence, EJ praises how the Nottinghamshire YMCA team welcomed him with open arms. 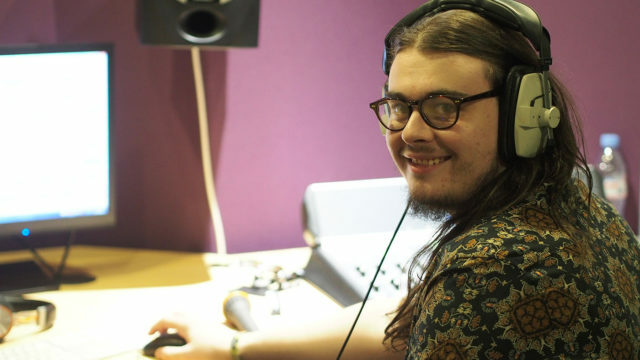 Now a highly valued presenter for YMCA Digital’s live radio show, EJ is helping other young people to grow and develop their creative skills in the studio. EJ Scanlan’s main show airs every Thursday from 18:00 on YMCA Digital. Tune in online here.